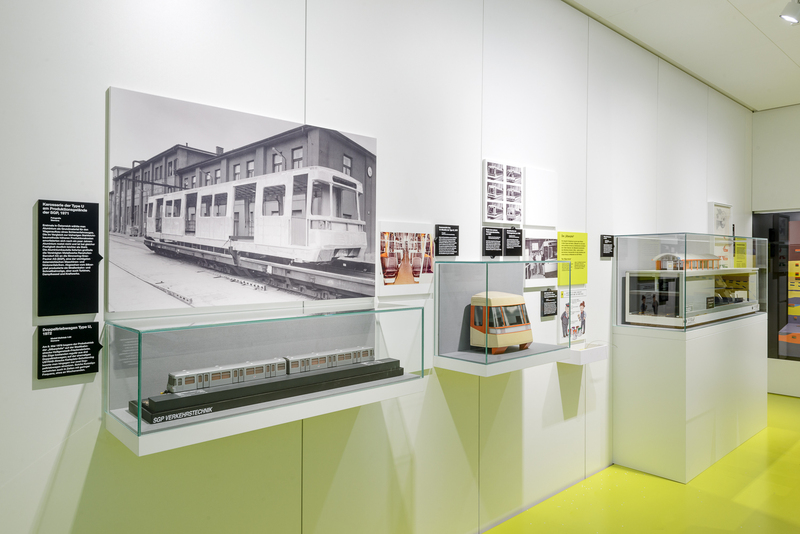 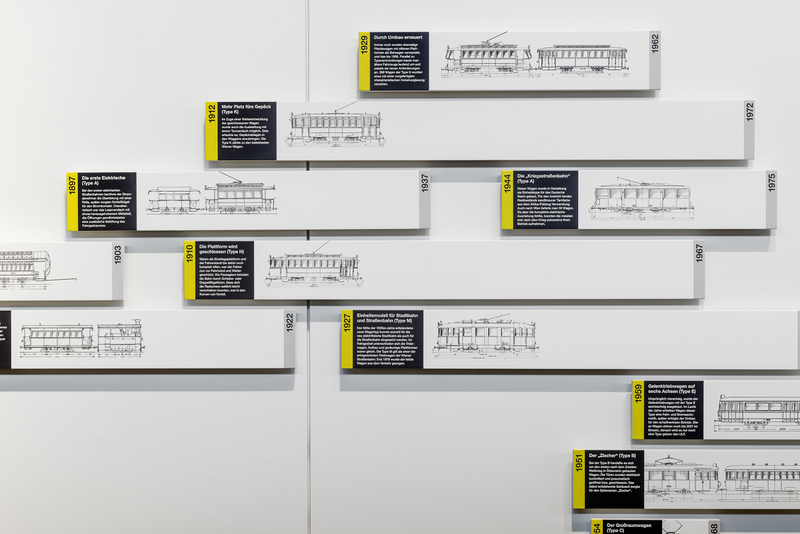 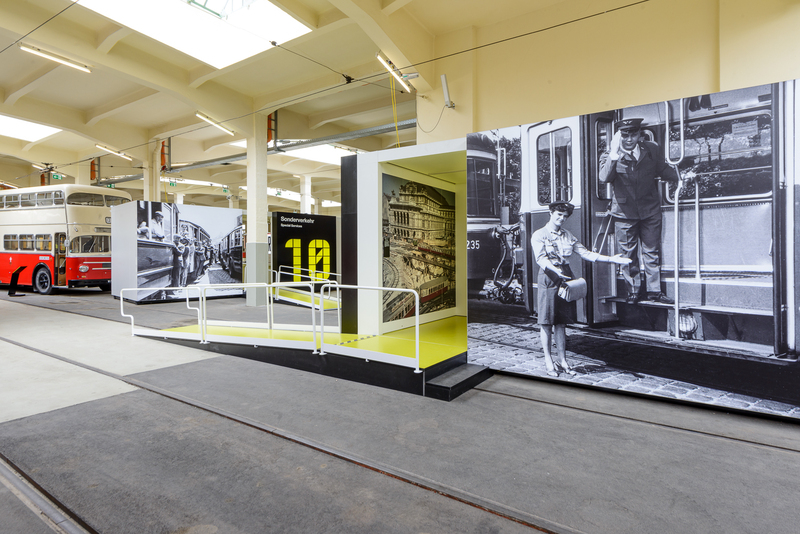 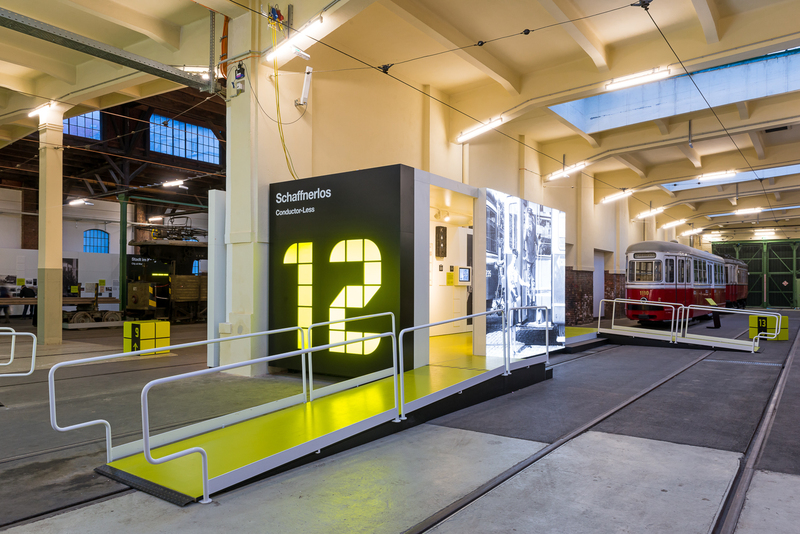 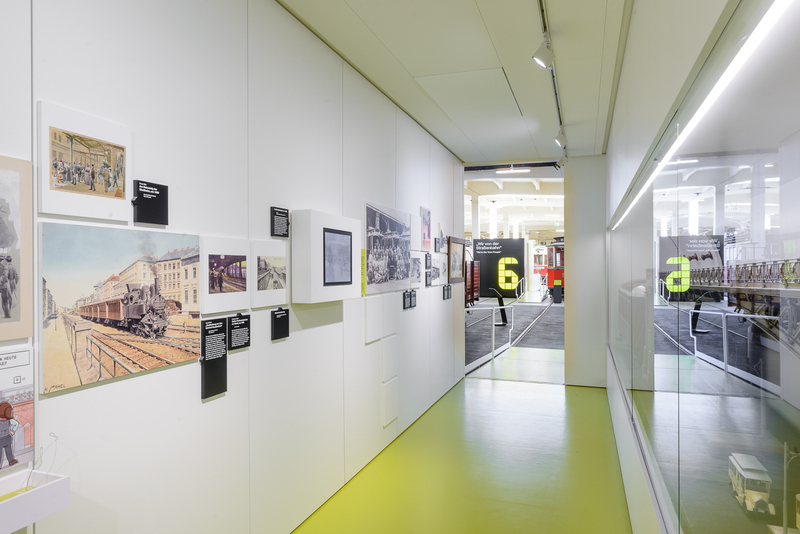 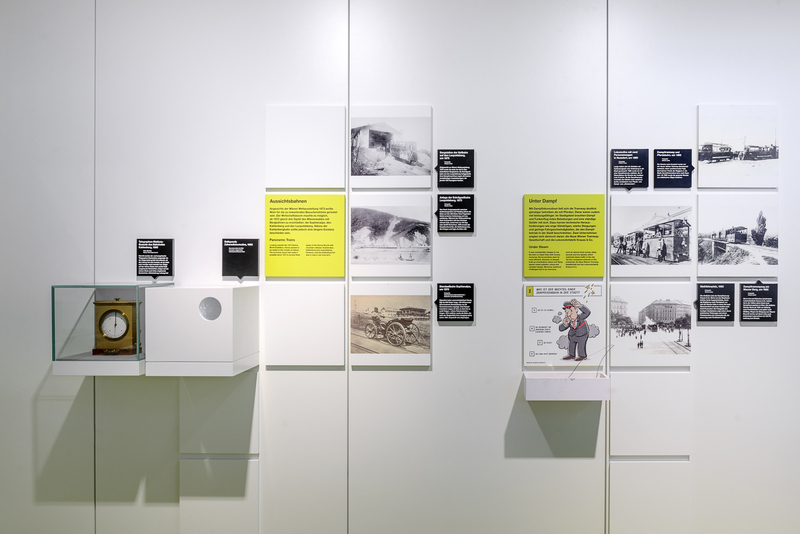 In Viennas Transport Museum in the halls of the former Erdberg depot a sequence of theme platforms guides the visitor through 150 years of public transport. 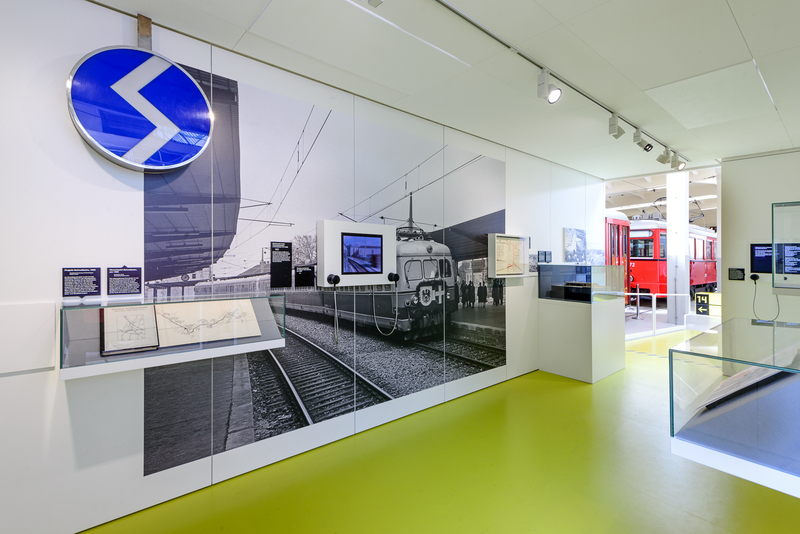 The grid-based design and guidance elements remind of overhead displays on the underground platforms. 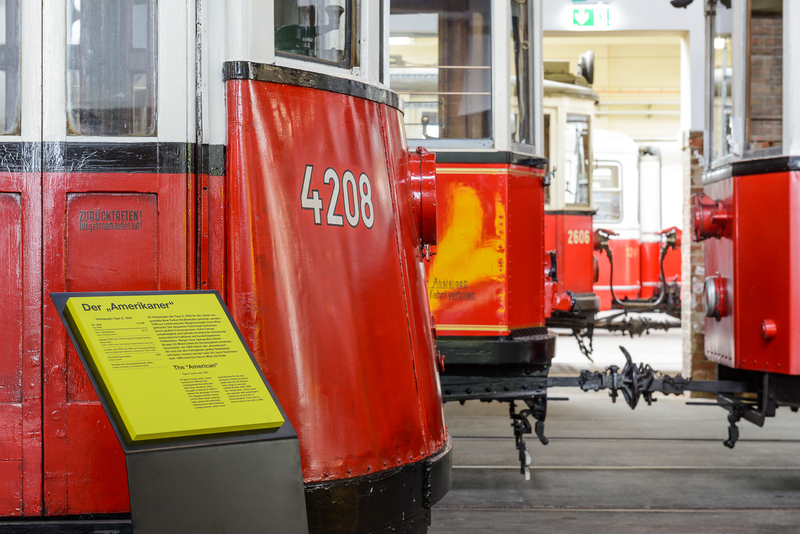 We also used the luminous yellow from that displays to contrast the typical red of Wiener Linien vehicles.